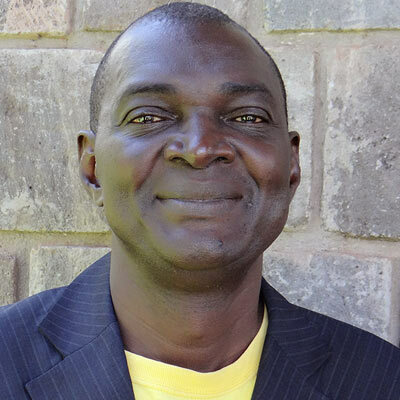 Nupanga Weanzana is President of Faculté de Théologie Évangélique de Bangui (FATEB) in Central African Republic, and also teaches Biblical Hebrew and Old Testament (Exegesis and Theology). He received his PhD in Old Testament Studies from the University of Pretoria in South Africa. His area of interest is in the Book of Chronicles and the Second Temple Period. Among his publications are several commentaries on Old Testament Books in the Africa Bible Commentary (2006). Nupanga Weanzana met regularly as part of the ALS leadership team, provided input on all phases of research and analysis, and supervised a team of researchers administering surveys in the Central African Republic. He conducted interviews and wrote up reports on key Christian leaders and Christian organizations in the Central African Republic. He served as the primary leader of the research carried out in the CAR. His chapter “Word and Deed — Patterns of Influential African Christian Organizations” appears in our book.